The YEGPIN Pinball-Pro Championship (PPC) will be IFPA sanctioned and will be an opportunity to get world ranking points and an opportunity to get into the top 16 places in ranking for an opportunity to compete in the Alberta Pinball Provincial Championship for a chance to win an entry into the IFPA State Championship Series in March 2019. The tournament pays hommage to the old PAPA World Pinball Championship and current INDISC format. It is a high stakes, card based style tournament that will bring out the very best players to compete for the chance to be the champion of the event. Noon – 9:30pm (ticket sales will end at 8:30pm), Note: VIP ticket holders will have an extra hour in the morning for qualification. The tournament will be using a unlimited PAPA 4 machine card style using PAPA position/rank scoring (1st 100, 2nd 95, 3rd 90, 89, 88, 87…) for each machine. Top 4 or 8 (over 40 players) scores will qualify for main draw playoffs. Finals start at 8:45 AM on Saturday. All entries for the tournament are administered electronically through the DTM scoring system and can only be used for the Pinball-Pro Championship. Tickets will be able at the tournament desk, there are unlimited entries so you can purchase as many as you want to try to qualify for the tournament playoffs on Saturday. This tournament will be hard capped at 80 competitors. All card(s) entries will be added to the prize pool and paid out at 90%. Prizes will be awarded to all of the playoff qualifiers, the percentages are below. The winner will receive his/her very own customized Pro Pinball Championship bracelet for winning this competition. 2nd, 3rd places will also receive a customized PPC plaque. 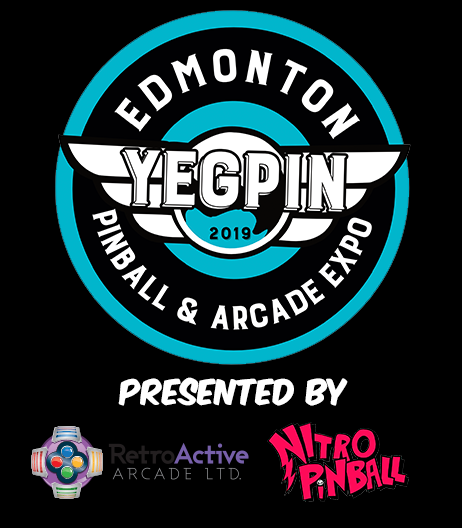 Rules: YEGPIN – Pro Pinball Championship machines will only be available to tournament participants so you must register at the tournament desk in order to have a chance to try out these machines. Four (4) machines will be available for play, all will be counted towards your card. *Semi-Final will only be played if there are over 40 qualified players in the tournament.